There have been further developments in the ongoing legal battles over a 2017 privacy breach experienced by Aetna involving the exposure of patients’ sensitive health information. A further lawsuit has been filed by the insurer in an attempt to recover the costs incurred as a result of the breach. 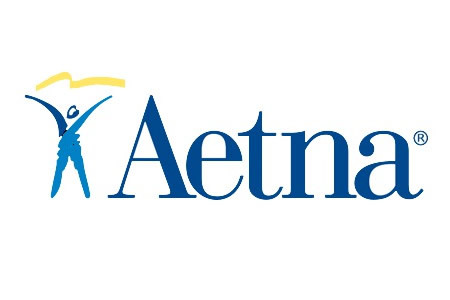 In 2017, the health insurer Aetna experienced a data breach that saw highly sensitive patient information impermissibly disclosed to other individuals. A mailing vendor sent letters to patients using envelopes with clear plastic windows and information about HIV medications were allegedly visible. The mailings related to HIV medications used to treat patients who had already contracted HIV and individuals who were taking drugs as pre-exposure prophylaxis. Approximately 12,000 patients received the mailing. Lawsuits were filed on behalf of patients whose HIV positive status was impermissibly disclosed, which were settled in January for $17.2 million. A settlement was agreed with the New York state attorney general for a further $1.15 million to resolve the privacy violations. Following on from those settlements, Aetna attempted to recover the cost of the settlements from Kurtzman Carson Consultants, the administrator who allegedly directed the mailing vendor to send the letters to patients that exposed their PHI. Aetna maintains that Kurtzman Carson Consultants did not communicate to Aetna that the mailing was being sent using windowed envelopes. The lawsuit is ongoing. Now a lawsuit has been filed by Aetna against the law firm Whatley Kallas and the Californian advocacy group Consumer Watchdog in an attempt to recover at least part of the $20 million in settlements already paid. Consumer Watchdog and Whatley Kallas represented patients in a previous case that led to the sending of the notification letters that exposed patients’ sensitive information. The privacy breach that led to the $20 million settlement occurred in response to a previous privacy incident that Aetna was sued over. That initial privacy breach related to a requirement for patients who had been prescribed HIV medication to receive the drugs by mail rather than collecting them in person. Since the drugs need to be kept refrigerated, and are dispatched in refrigerated containers, it was alleged that this would violate patients’ privacy as it would be clear to neighbors and co-workers that HIV drugs were being delivered. The latest lawsuit alleges the plaintiffs were responsible for requiring Aetna to send sensitive information to the Kurtzman Carson Consultants, which Aetna was against and that after that information was passed to Kurtzman Carson Consultants, the plaintiffs failed to ensure the confidential information was protected. Whatley Kallas had recommended using Kurtzman Carson Consultants and Consumer Watchdog were involved to make sure Aetna made good on its promise to change the requirements for patients to have the drugs sent by mail. While this may appear to be a case of passing the buck at face value, the case is not as frivolous as it may sound. According to Aetna, the law firm representing the plaintiffs in the original case were allegedly party to a proposal that stated windowed envelopes were going to be used, but the law firm failed to raise a red flag.